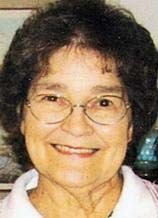 WATERLOO — Carol Esther Blair, 79, of Ankeny, formerly of Waterloo, died at home Friday, Oct. 12, 2012. She was born Sept. 17, 1933, to Russell and Alice Sage, Waterloo. She married Ronald Blair on Aug. 31, 1951. She graduated from Ankeny High School in 1951. Mrs. Blair was a member of Ankeny Baptist Church, Ankeny Historical Society, and various card clubs and coffee groups. Survived by a son, Chris (Michele); and two daughters, Rhonda (Buz) Phelps and Debbie (Don) McAtee; 10 grandchildren; 12 great-grandchildren; a sister, Phyllis (Norman) Fitch; a daughter-in-law, Diane Blair; and many nieces, nephews and other extended family. Preceded in death by her husband; a son, Michael; and a sister, Beverly Haun. Services: 11 a.m. Tuesday at Ankeny Funeral Home, Ankeny. Visitation from 5 to 7 p.m. Monday at the funeral home. Memorials may be directed to Ankeny Historical Society, Ankeny Baptist Church or Hospice of Central Iowa. She enjoyed crocheting and spending time with her numerous friends. Carol’s family held a special place in her heart and she always kept them very close.